Each year, air conditioning systems consume more than one trillion kilowatt-hours of electricity. In warmer climates, they can be a full 50% of an organization’s energy spend and a massive draw on resources. We have the solution – ACES. Our system could save your business up to 35% on its air-con costs, with a 1-2 year payback period and knock-on benefits to noise control. By ensuring certain parts of your air-con only work when they’re needed, we can extend your product’s life-cycle & reduce maintenance costs. 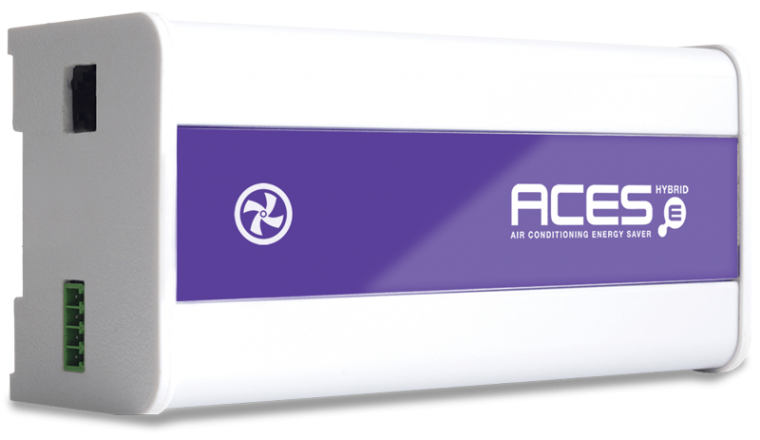 ACES is compact, safe and simple to install and, once it’s in, you won’t need to touch it again. Very much a plug-and-play solution.